TAAK and De Punt are hosting two evenings in June with artists, special guests, drinks and food. 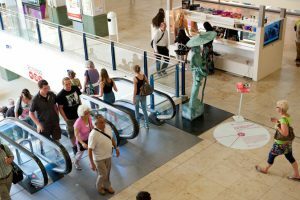 Both events are related to the Call of the Mall manifestation taking place in Utrecht’s Hoog Catharijne this summer. 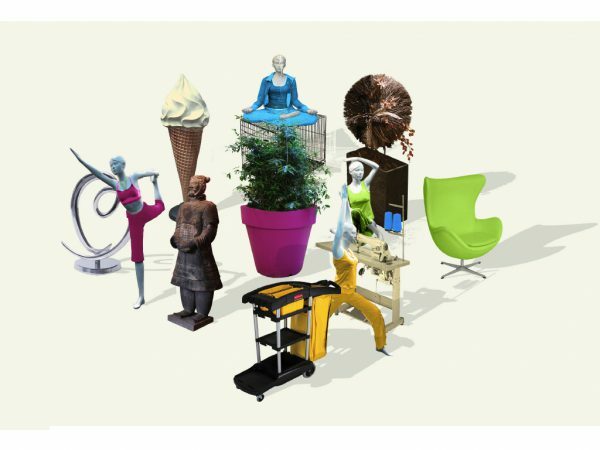 One day before the opening of Call of the Mall on June 20 2013 TAAK is hosting an evening on intellectual property. Intellectual property is an often-overlooked subject in the field of contemporary art. Perhaps because it is a legal concept that refers to creations of the mind for which exclusive rights are recognized and therefore claim conditions and notions of ownership. In the case of contemporary art the concept of ownership is difficult to manage. Of course the market protects and also determines the processes of the ownership of an artwork, but how to discuss, let alone formally claim the ownership of an idea, or ‘creation of the mind’? And judging by contemporary society’s continuous urge to produce and consume – within ‘creative economies’ - what does this claim mean for not only an artwork but also the everyday around us? In 25-minute presentations both artist Matt Darbyshire and lawyer/academic Willem Grosheide will give their take on the principle of intellectual property. The one from the perspective of what it means as an artist to (re)produce something uniquely that is otherwise mundane. The latter from the point of view of the legal structures behind the idea of intellectual property and how these determine our everyday lives more than we think, both now and in the future. Matthew Darbyshire (U.K.) provocatively repackages the homogenisation of contemporary design: the CMYK colour schemes that dominate both public and private space. With their sly parodies of corporate branding and mass-produced design, Darbyshire's installations expose the hollow realities behind urban regeneration and try to define just what it is that makes candy-coloured plastic so modern, so appealing. Willem Grosheide (NL) is lawyer and professor Emeritus Intellectual Property Law, particularly copyright law at the University of Utrecht. He is the director of several post graduate courses on behalf of judges, members of the bar and other practitioners in the Netherlands and abroad. He is a member of the Board of the Netherlands Association for Copyright Law and member of the Board of the Association Literaire et Artistique Internationale (ALAI). The TALKS AT TAAK are part of TAAK.Learn. Because most of TAAK.Makes work takes place outside the office and on the road, we feel it is important to organize in our own house presentations, talks and debates that give insight into what it is that we do. As it is our principle duty to place topics of public interest on the agenda, we wish to share this as much as possible with interested parties. By organizing educational activities TAAK.Learn offers opportunities for deeper immersion during investigations and research, while projects can be viewed more critically. That is why we are hosting these two evenings in June both of which are made possible and are related to the Call of the Mall manifestation taking place in Utrecht’s Hoog Catharijne this summer in which TAAK’s Huib Haye van der Werf is a member of the artistic team. We look forward to continue to do so with our other projects at later dates so keep an eye on our website or sign up for our newsletter.